Since last summer i have been getting requests for this Dreams of Louie V to be released as a silkscreen print. 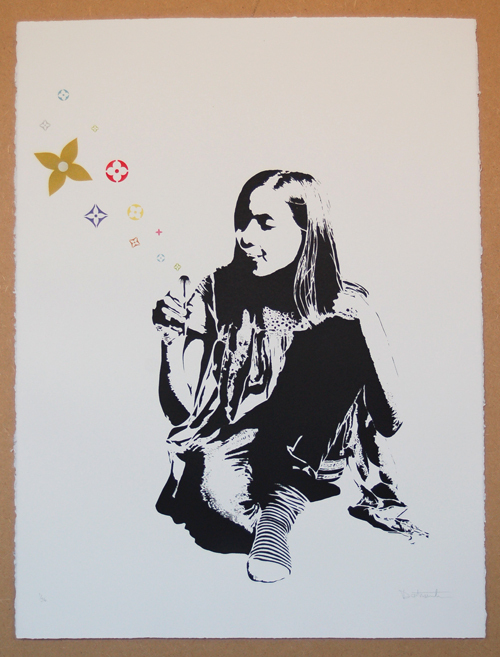 It was a very popular canvas from last yearsOutside in show in Stavanger, Norway. The various colours in the florets would have meant multiple screens at an incredible cost. The solution seemed to be a hand finished silkscreen edition. Printed by those nice chaps down at Another fine mesh on Arches 88 blanc cotton rag stock, 56cm x 76cm (22″ x 30″) with a deckled edge all the way round. With our minds on the money and the money on our minds its often hard to remember the glamour we used to associate with the bloody stuff. As its market value rises and falls its time to find a new way to value those old green backs. The Dotmasters present the third in the Funny Money series The jackson five dollar bill. 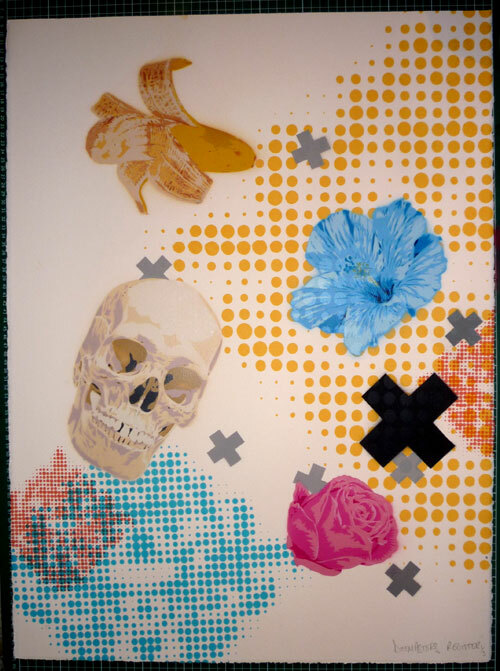 Stenciled spray paint on a five Dollar note. An edition of 40, sprayed on the finest cotton rag that the Federal Reserve can afford, signed and blind stamped by The Dotmasters, (although i will deny it of course). With the huge financial ups and downs on the international money markets in 2012, refinanced bankcrupt economies bow to foes of old just who’s image should be on which note? Dotmasters present the Mao ZeDollar the latest in a series of works made on legal tender. 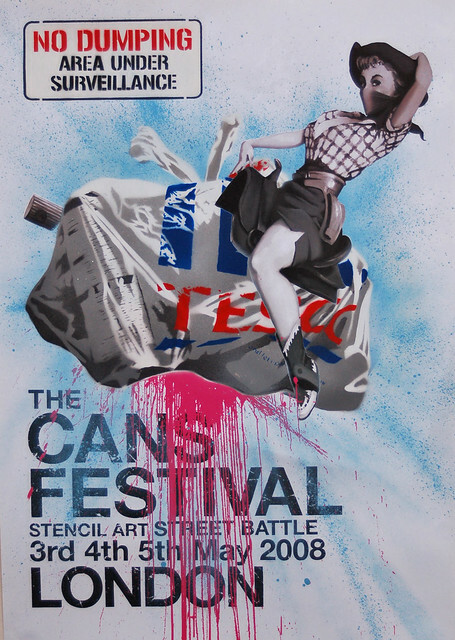 So, tidying up the studio i came across a number of the old Cans Festival posters from Banksy’s Leake Street event back in 2008. So seeing as they were so popular the first time round i decided to do a second edition. 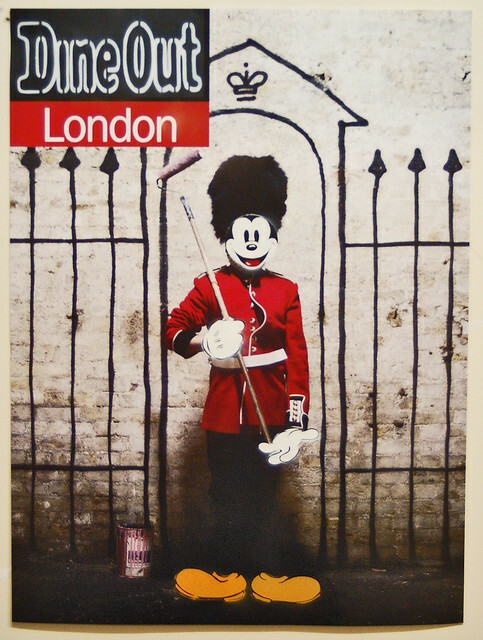 Stenciled spray paint on Lithographic Time out edition of 5000 posters 68cm x 51cm . 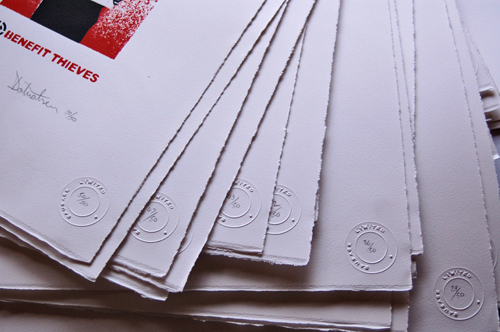 Numbered signed and blind stamped by The Dotmasters. 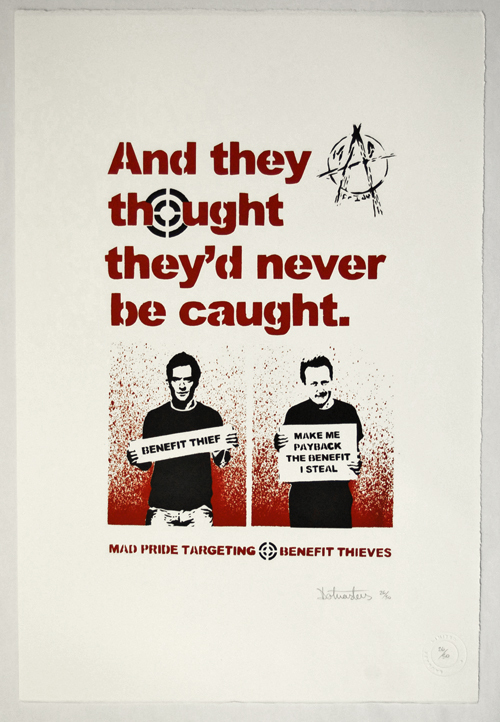 Designed for Mad Pride’s current campaign against the benefit cuts, this is a two colour hand pulled silk screen in an edition of 50 measuring 57cm x 38cm on 300gsm somerset antique white. Almost all of my recent works can be found on my flickr pages here. If you like something use the contact form on this site to inquire about availability and prices. 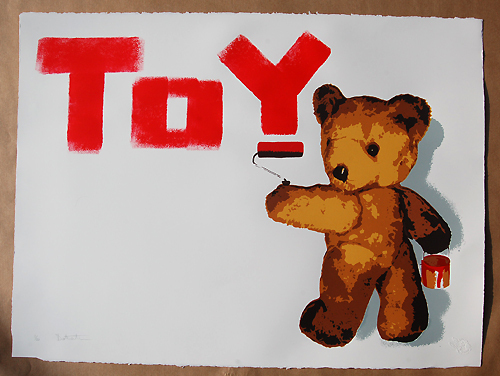 There are plans for an online shop, and a solo show later in the year, stay tuned to find out more. Its 30 years of the Rubiks cube! To celebrate this fact the Dotmasters bring you its evolution, the digitally improved and encoded QRubicks cube. It’s a classic with a twist, at the height of the cube craze it was estimated that 1/5 of the world owned one. If you missed your chance in our previous completion to win one of these devilishly hard QRubiks cubes. Now’s your chance to buy one! 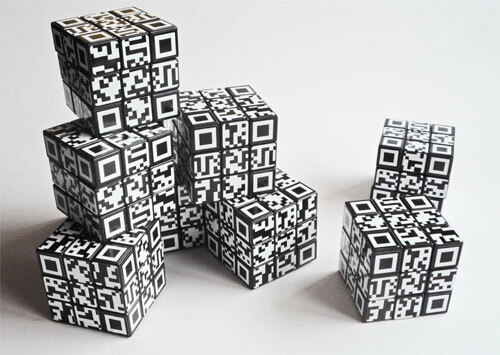 As they were so popular we’ve decided to issue a second edition , limited to fifty there is a different hidden message concealed with in QR graphic on this unique version of the Rubiks cube.